Tap this page for the National Engineering Services Pakistan Pvt Limited NESPAK Jobs 2019 Apply Online for the following vacancies given below for the highly qualified individuals. NESPAK Jobs to apply today are (Company Secretary) and these positions are based at Lahore and Karachi on contract basis. 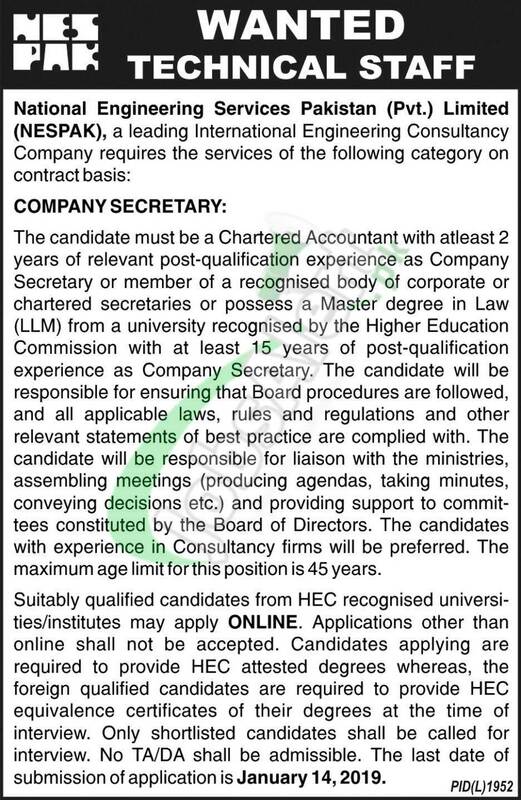 Candidates possessing Masters degree in LAW (LLM) from HEC recognized university with 15 years relevant field experience are welcome to apply before the last date 14th January 2019.